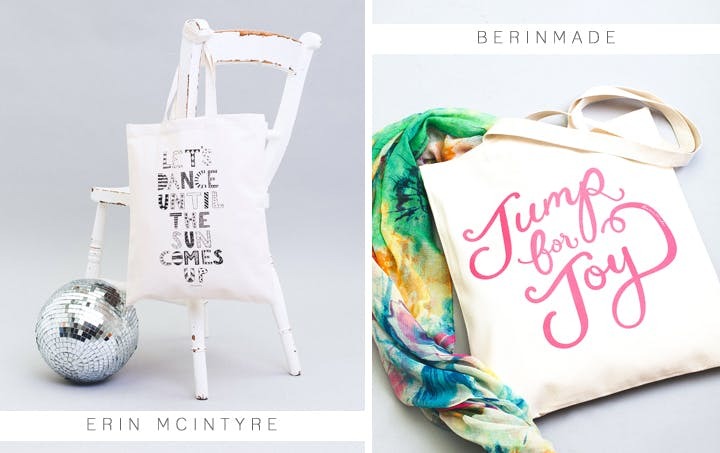 We are really excited to announce a brand new collection today! 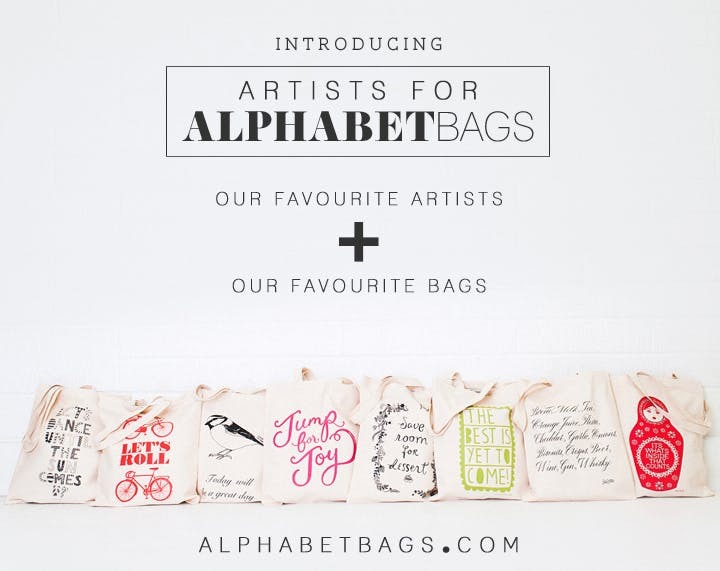 We have teamed up with eight fantastic artists and designers to create the 'Artists for Alphabet Bags' Collection. 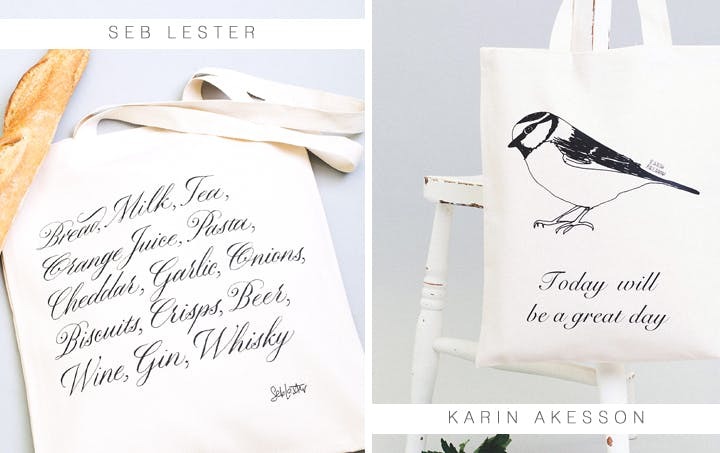 The artists have contributed designs which are optimistic, cheerful, uplifting and just plain lovely to carry around. 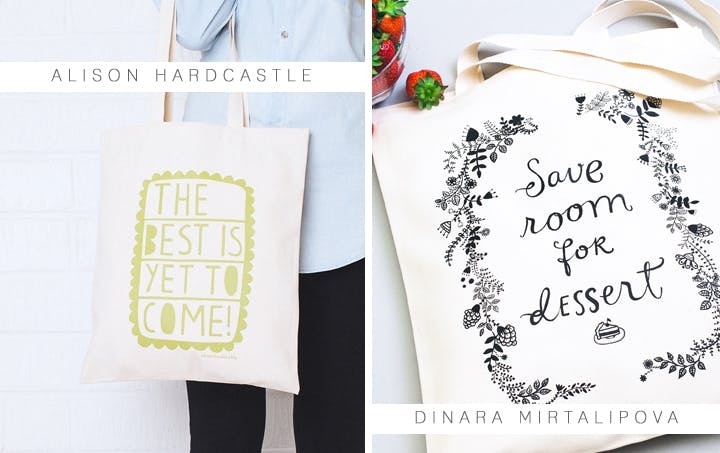 The collection will be ever-growing, bringing cheerful designs from incredibly talented artists from around the world to our sturdy natural cotton totes. 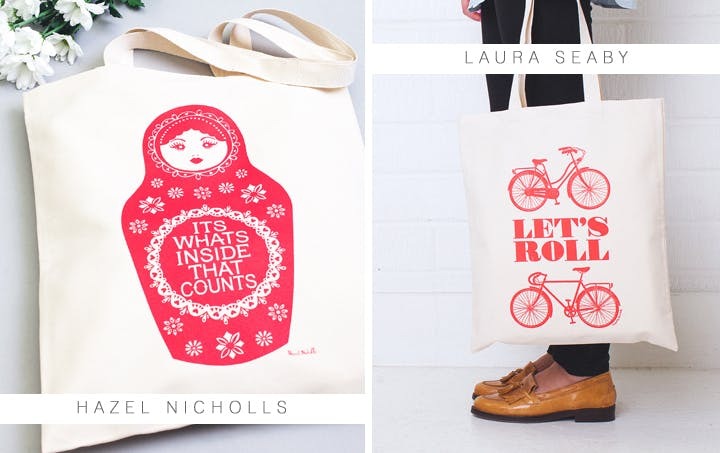 The first eight designs which launch the collection are by Alison Hardcastle, BerinMade, Dinara Mirtalipova, Erin Mcintyre, Hazel Nicholls, Karin Åkesson, Laura Seaby and Seb Lester. We are thrilled to be able to collaborate with artists whose work we greatly admire. We hope you love them as much as we do!